Contemporary flair and functionality sit side by side in the 1 Inch Armchair by Emeco. 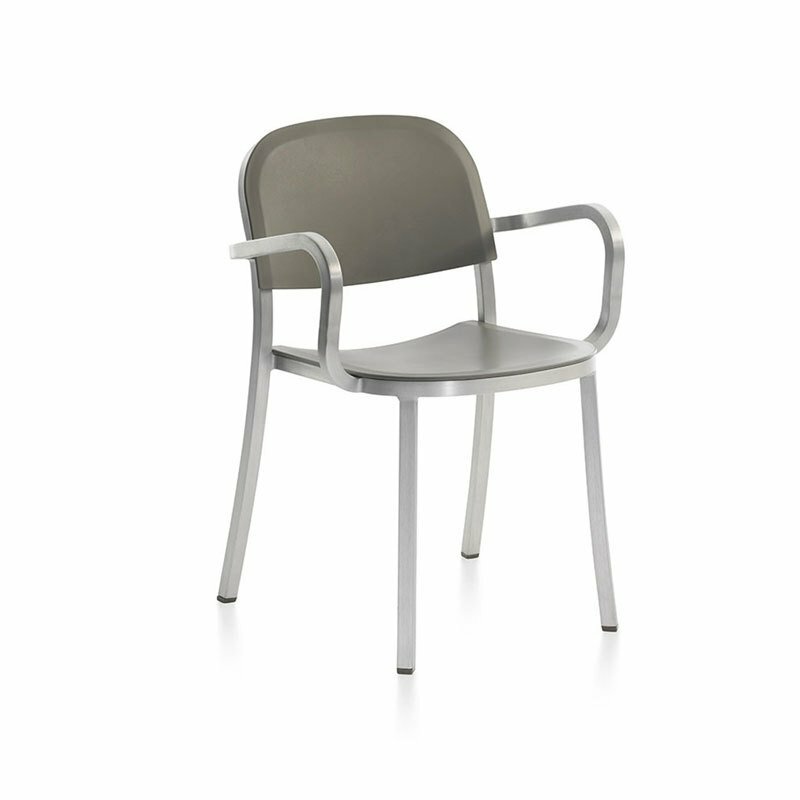 Featuring recycled aluminum construction, it delivers on sleekness, strength and sustainability. The seat and back are available in a selection of materials and colors for easy customization to suit décor. Perfect for a dining space, common area, office or boardroom, this is comfortable seating with a backrest and armrests plus it stacks for effortless storage and mobility.